Pekka Soini (Chicago) - Book Appointment Online! 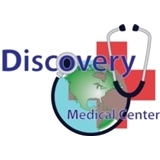 Welcome to Discovery Medical Center! Our range of services to our patients is pap smears, prenatal care, family planning, laparoscopic and hysteroscopic surgery. We treat gynecological symptoms, menopause, abnormal bleeding, incontinence, fibroids, and osteoporosis. We value professionalism, honesty, and customer satisfaction. Our staff is actively updating their knowledge of the industry to ensure the highest level care. Whatever your worries are, let Discovery Medical Center ease them with our board certified surgeon and one of the leading specialists in Laparoscopic surgeries.